Amendements IV - XIII. Warm Up Imagine a police officer knocks on your door and say he wants to search your home. Do you have to let them in? Why or why. 2 Warm Up Imagine a police officer knocks on your door and say he wants to search your home. Do you have to let them in? Why or why not? 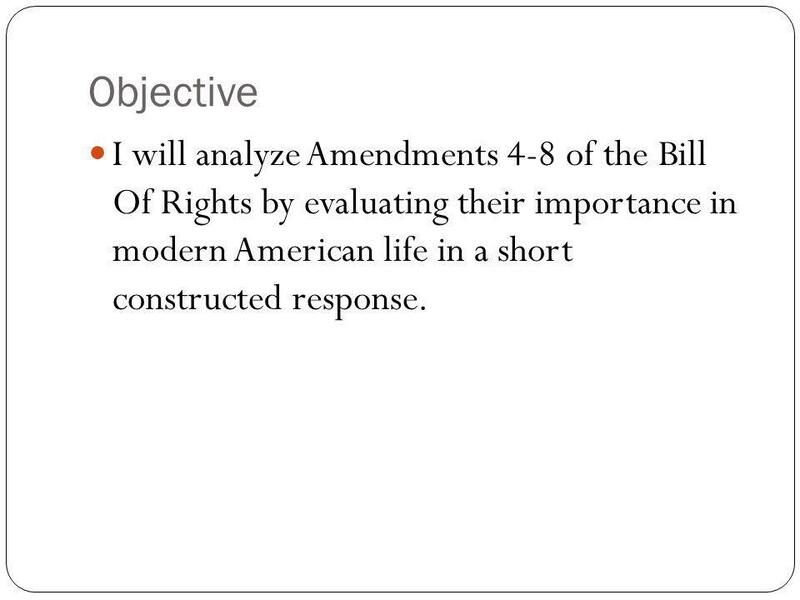 3 Objective I will analyze Amendments 4-8 of the Bill Of Rights by evaluating their importance in modern American life in a short constructed response. 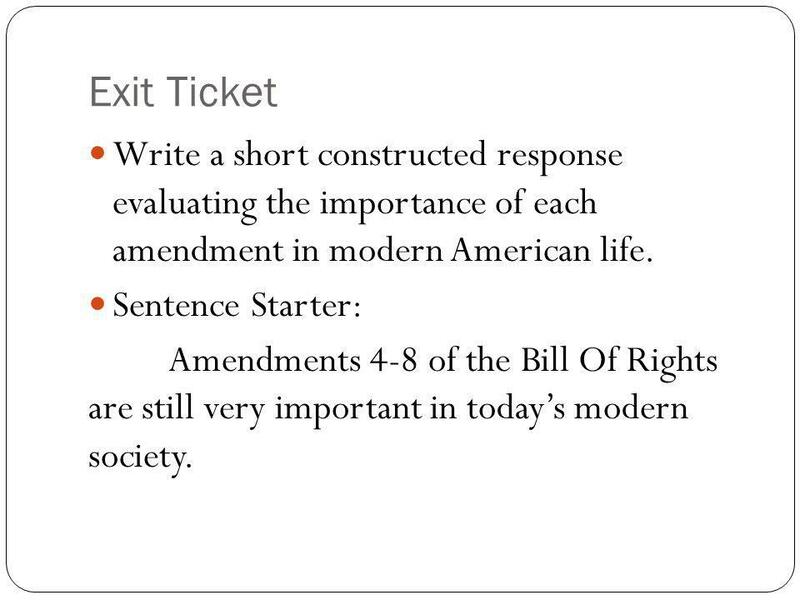 10 Exit Ticket Write a short constructed response evaluating the importance of each amendment in modern American life. 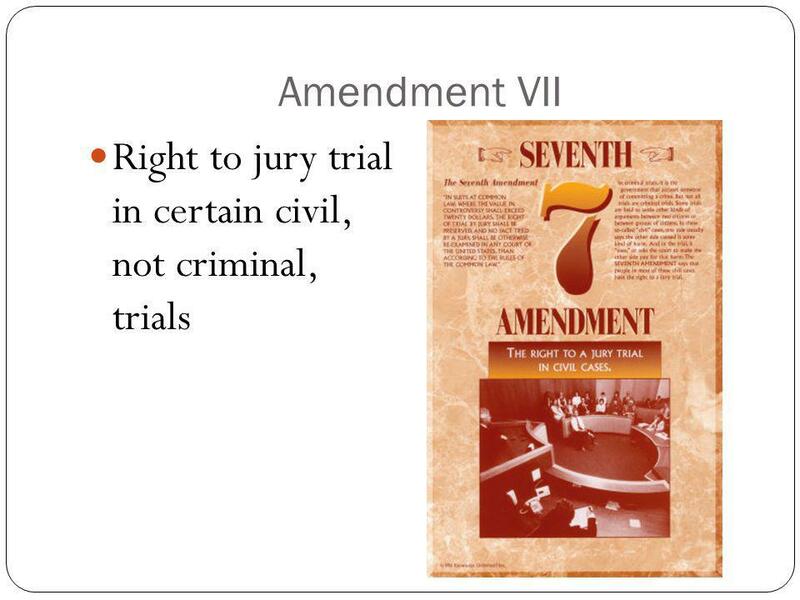 Sentence Starter: Amendments 4-8 of the Bill Of Rights are still very important in todays modern society. 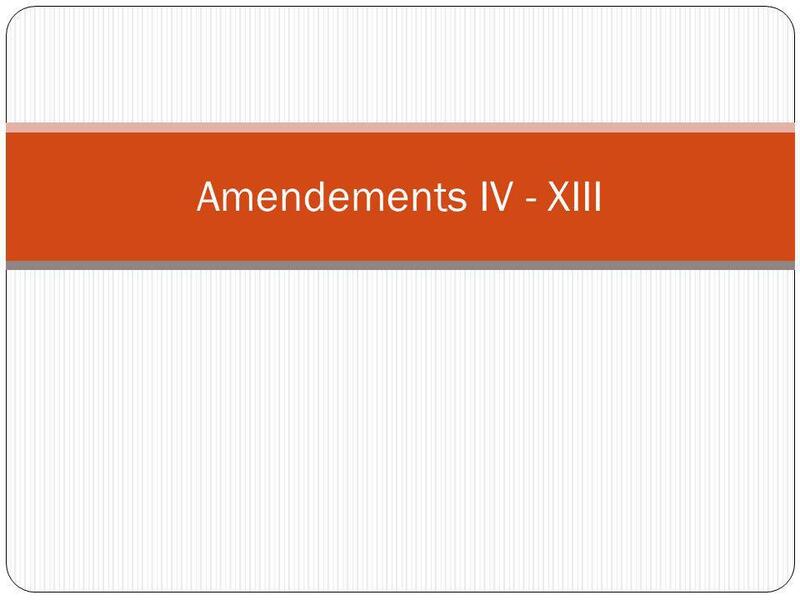 Download ppt "Amendements IV - XIII. Warm Up Imagine a police officer knocks on your door and say he wants to search your home. Do you have to let them in? Why or why." 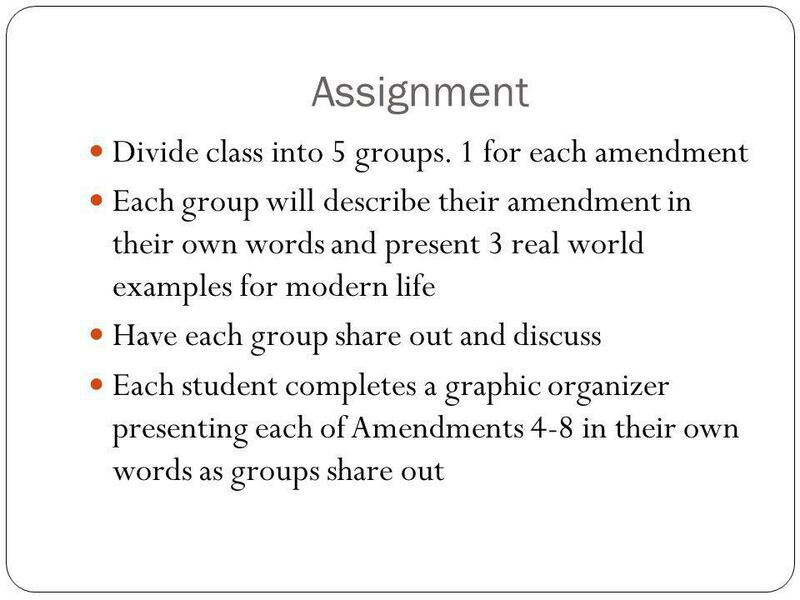 Day 4 STAAR Review Bill of Rights and Reconstruction Amendments. 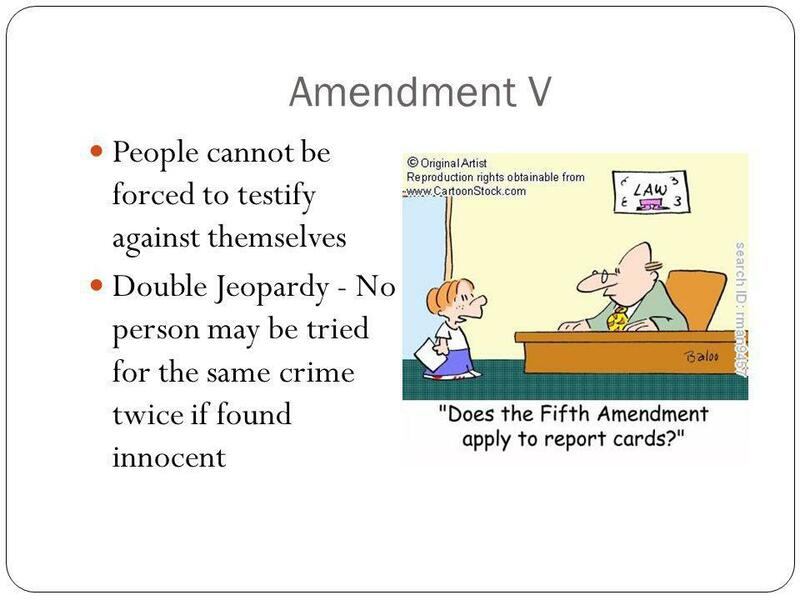 Civil Liberties: Due Process Rights of Accused Persons. The Bill of Rights 1 st amendment: 1. Freedom of religion 2. Freedom of speech 3. Freedom of the press 4. 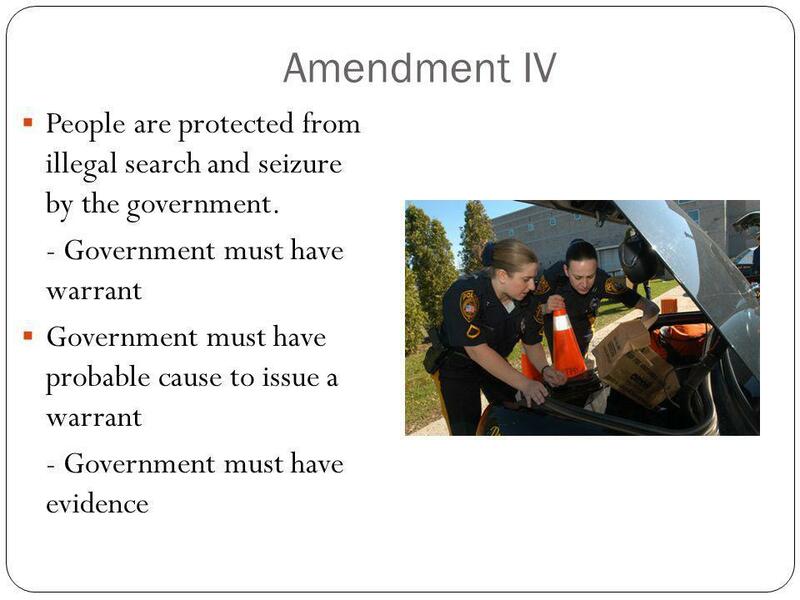 The right to peacefully assemble 5. The right. The Bill of Rights First 10 Amendments to the U.S. Constitution. The Bill Of Rights The first 10 amendments to the Constitution. 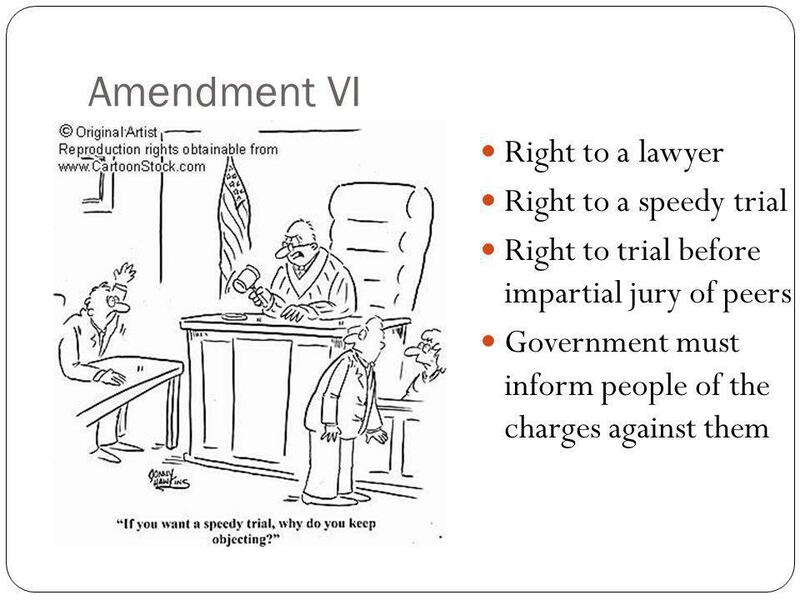 The Bill of Rights History Alive Chapter 15. 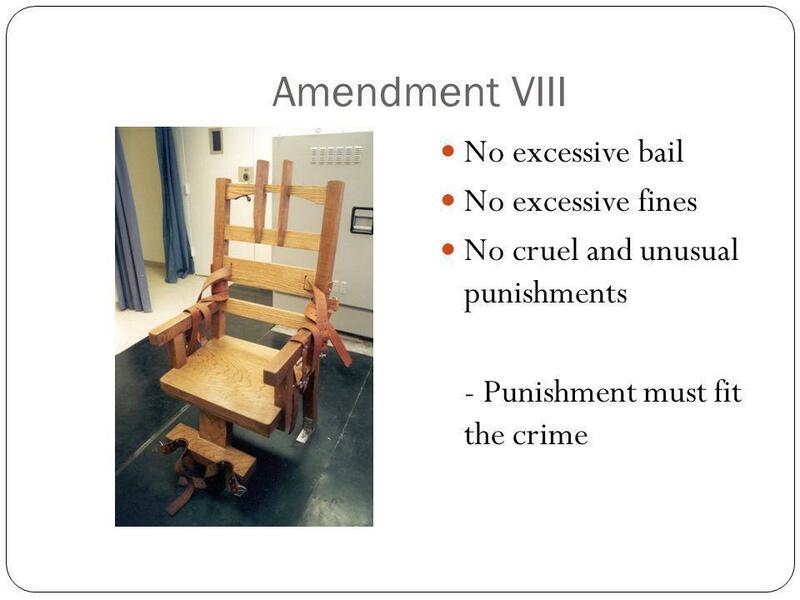 SUMMARY RIGHTS OF THE ACCUSED. Why would anyone be accused of or charged with a crime if they are not guilty? Discuss with talk partner? QUESTION.